An Apple television has been rumoured for a long, long time and finally it appears to have been photographed in the wild as an OLED TV. 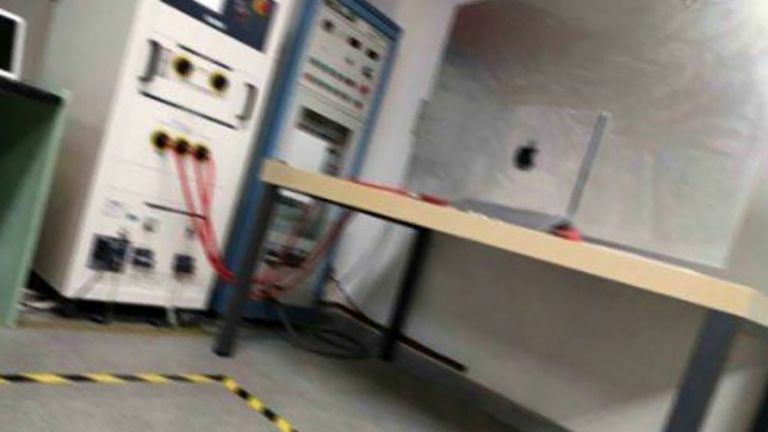 Some blurry photos of what is claimed to be an Apple made OLED TV were posted on China’s Weibo. This claims in the wording that the Apple television is a 60-inch device. There is also mention of the TV having a built-in camera as part of the system. As you can see from the photos it appears to feature a silver metallic finish much like Apple MacBook laptops and iMac machines. The frame appears to be super slim with a large metallic stand and a bulkier box section on the rear, likely where all the processing power lives. These photos might not be clear but they’re the best look at the rumoured Apple television so far. Previously leaks have been software related so could always have been Apple testing on its Apple TV boxes. This is clearly an Apple made TV-sized device. Of course if this comes to market at all, let alone soon, is another matter. Apple has reportedly had issues with content but perhaps that’s not going to stop it launching its own new hardware. Here’s hoping we see more soon.